Today I have Alyssa Sheinmel, author of the soon-to-be-released The Stone Girl, on the blog to tell us 25 things you don't know about her! 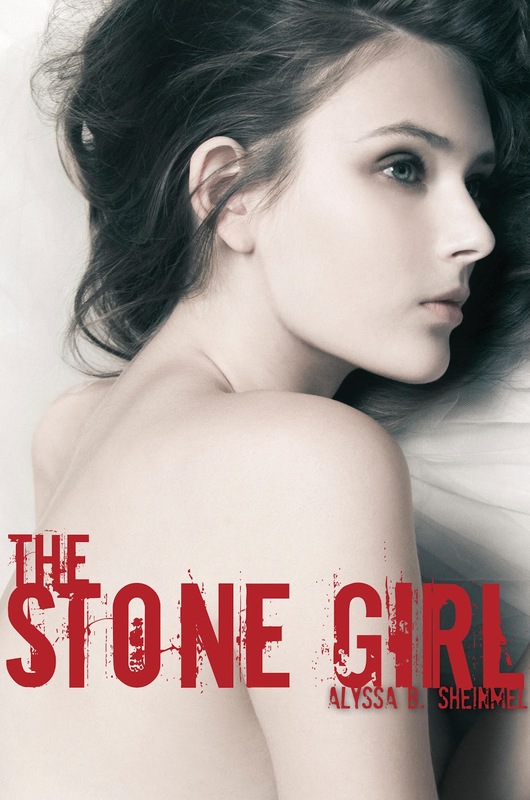 Click here to learn more about The Stone Girl! Everyone thinks I’m a born and bred New Yorker, but I’m originally from California’s Bay Area. I stopped writing The Stone Girl when I was about halfway through because I thought no one would want to read it. I loved writing The Lucky Kind and I hope to write another book from a boy’s point-of-view someday. My favorite TV shows of all time are “The West Wing,” “Studio Sixty on the Sunset Strip,” and “Sports Night,” and I think Aaron Sorkin has taught me everything I know about how to write dialogue. I’ve never read The Catcher in the Rye. I think that reading Alice Hoffman, Mary Gordon, or Joan Didion can fix writers’ block. I came up with the name of the protagonist of The Stone Girl, Sarah Beth – Sethie – Weiss when I was in Napa, California, planning my wedding. I often prefer writing in the third person to writing in the first-person. I reread The Lord of the Rings trilogy every few years, always in winter. The first chapter book I ever read by myself was Judy Blume’s The One in the Middle in the Green Kangaroo. The last book I read was A Dance with Dragons by George R. R. Martin. I mostly write in my pajamas. I ask members of my family not to read my books (though only about half have agreed to it!). The Stone Girl is definitely not a memoir, but it was inspired by my own struggles with body-obsession when I was a teen and in my early twenties. I don’t like to read anything I’ve written once it’s been published. I’ve written stories for as long as I can remember. I love the Q&A part of book events. Please ask questions! I wear sweaters, scarves, and boots even in the middle of the summer. I read something by Ernest Hemingway almost every day. This was interesting... I'll have to check out Stone Girl. Stumbled upon your blog while searching for a picture of Jane Eyre, I guess you wrote a post on that earlier. anyway, I am an avid reader too... so your page here is pretty interesting.